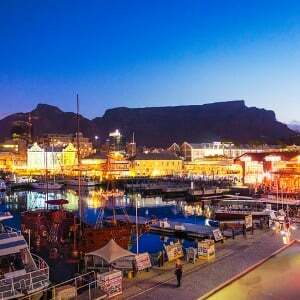 Plan your centenary celebrations in the Cape with this itinerary. Whether you wish to trek it solo, in a small group or in a guided tour, we've got a plan for all. Visit some of the Cape's top Madiba sights in one day with some added leisure time. As part of the slew of centenary celebrations taking place in honour of Tata Madiba, South African Tourism (SAT) launched a special mobile App called Madiba's Journey that can be downloaded on Android or Apple devices, encouraging all South Africans to experience Madiba’s legacy at 100 destinations across the country. Start your day by immersing yourself in nature over at Kirstenbosch National Garden. Nestled just 13 km from the Cape's CBD on the eastern slopes of Table Mountain, this garden is the perfect nook of nature to slip into and escape the city rush. Madiba himself used enjoy spending his time here - and with the beautiful range of flora and fauna boasted and housed in the garden, it is no wonder why. So kick of your Cape Madiba celebrations in a place Tata enjoyed to relax in and unwind to the sounds of nature or even a cuppa coffee from the garden cafe. For more information on entry charges and operating hours - visit their website. WHY NOT Get your proudly SA #Madiba100 t-shirt and be part of these Mandela centenary celebrations in Mzansi? Take a tour of the iconic Iziko Slave Lodge Museum and take a trip through SA's past. Set in the SA's oldest building, the lodge shares the stories of slaves who were captured in South East Asia and brought over to the Cape by the Dutch East India Company. On February 11, 2010, the museum had unveiled an exhibition commemorating Madiba's 20th year out of prison. In fact, they've just unveiled another exhibition in honour of Madiba's centenary on his birthday - Wednesday, July 18, 2018. Stay posted on Traveller24's Instagram and on social media to see what's been unveiled. End off your day by making your way over to the Grand Parade in front of City Hall. This is the very place that Tata Madiba had addressed a crowd of thousands of people from the City Hall balcony on February 11, 1990 - the day of his release from prison. The parade often hosts a market of local vendors and entrepreneurs selling everything from food to clothes to accessories. There are regular tours of the City Hall available through various operators. My 6km run included this beauty ?? #cityhall #capetown #architecture Thanks for the push! ?? @satish_antony #motivatedminds #runningpartner Have a magical weekend everyone ? Alternatively, you could spend your day trekking in the Footsteps to Freedom - a walking tour that takes you through the city's rich and tumultuous history and shows you all of the beauty it holds. The tour covers most of the popular spots and takes away the stress of having to navigate the sites alone with the added benefit of a guide to give you useful info on each location. The tour is 2 hours and 30 minutes long and has two sessions in a day, which start at 09:30 and 14:00 respectively. The private tour costs R1860 (for 1 - 4 guests) and R372 for each additional guest (price valid end-Sept 2018) and seasonal costs (December 15 - January 15) have an added 25% to the current rates.